This private house in the centre of St Margarethen has a wonderful homely feel to it. There is a touch of understated class about the leather and wood in the dining room, the furnishings in the living room, and the tuscan marble and tiles in the kitchen (hence the name!). The tasteful blend of traditional and modern continues throughout the house and leaves the guest feeling just a little bit special. The whole house is for your exclusive use - privacy guaranteed! 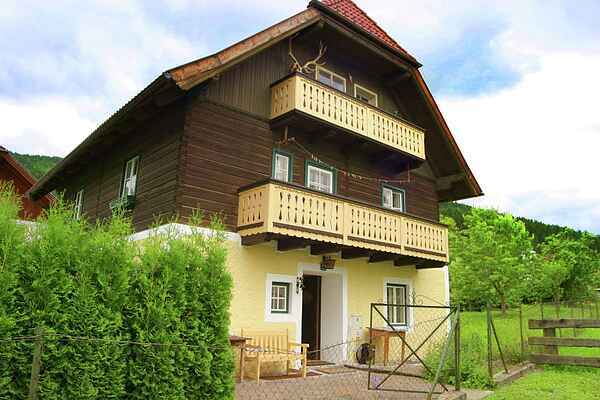 Idylically located in the centre of the sleepy village, 2km from the golf course, 20 minutes from the carinthian lakes and with a small cherry orchard in the garden, this is a perfect location for a relaxing holiday in the southern Austrian Alps. St. Michael enjoys 3 skiing areas in the direct vicinity. The area of Großeck/Speiereck is near the village, while the areas of Aineck/Katschberg, Obertauern and Fanningberg are a short distance away.